The organization BirdLife recently reviewed seven of bird species that were once considered quite common and widespread, but whose numbers are now plummeting. Snowy Owl - Experiencing a rapid decline, most likely driven by climate change. Disruptions to snowmelt and snow cover can affect the availability and distribution of prey. Atlantic Puffin - Regional overfishing and climate change have created serious food shortages. Black-legged Kittiwake - Rising sea temperatures are driving catastrophic declines in plankton populations, with an impact to the rest of the food chain, including fish. 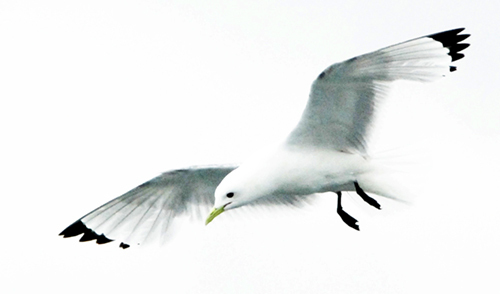 Plastics at sea (consumed by the kittiwakes) may be another threat.